"I also sent a list of high profile cases to the PMO urging that we coordinate action to bring at least one or two to book. I am not aware of progress on this front. This is a matter that should be addressed with urgency," says the former RBI governor in a 17-page letter. 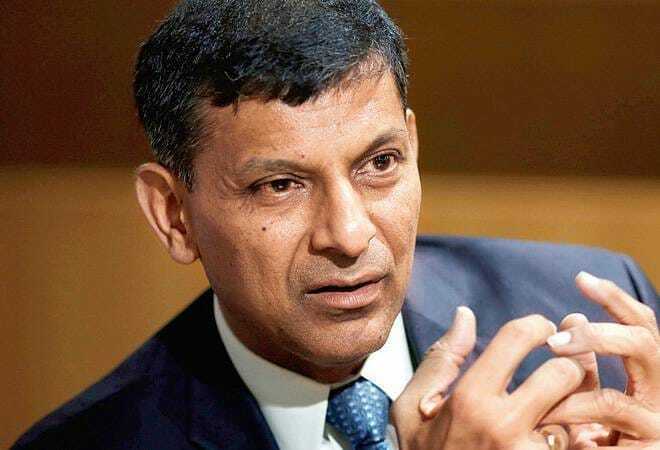 Former RBI governor Raghuram Rajan, in a note to Estimates Committee led by Murli Manohar Joshi, said that RBI had set up a fraud monitoring cell when he was the governor to coordinate the early reporting of NPA fraud cases to the investigative agencies. "I also sent a list of high profile cases to the PMO urging that we coordinate action to bring at least one or two to book. I am not aware of progress on this front. This is a matter that should be addressed with urgency," he said. Apart from blaming over optimistic bankers and lethargic government decision making process for the rising NPAs, he also highlighted how a variety of governance problems such as the suspect allocation of coal mines coupled with the fear of investigation slowed down government decision making in Delhi, both in the UPA and the subsequent NDA governments. Talking about how NPAs were originated, Rajan's 17-page letter said a larger number of bad loans were originated in the period 2006-2008 when economic growth was strong, and previous infrastructure projects such as power plants had been completed on time and within budget. The continuing travails of the stranded power plants, even though India is short of power, suggest government decision making has not picked up sufficient pace to date. "It is at such times that banks make mistakes. They extrapolate past growth and performance to the future. So they are willing to accept higher leverage in projects, and less promoter equity. Indeed, sometimes banks signed up to lend based on project reports by the promoter's investment bank, without doing their own due diligence," said Rajan. Talking about slow growth phenomenon, he said growth does not always take place as expected. "The years of strong global growth before the global financial crisis were followed by a slowdown, which extended even to India, showing how much more integrated we had become with the world," he said. Rajan also talked about the loss of promoters' and bankers' interest. "Once projects got delayed enough that the promoter had little equity left in the project, he lost interest." He said ideally, projects should be restructured at such times, with banks writing down bank debt that is uncollectable, and promoters bringing in more equity, under the threat that they would otherwise lose their project. On wrongdoings malfeasance and corruption that might have led to the mounting NPAs, Rajan said "Clearly, bankers were overconfident and probably did too little due diligence for some of these loans". Many did no independent analysis, and such outsourcing of analysis is a weakness in the system, and multiplies the possibilities for undue influence, he added. He said there is need for improving governance of public sector banks and process of project evaluation and monitoring to lower the risk of project NPAs. He also indicated that the banks' recovery process should be robust and that public sector banks should be distanced from the government.